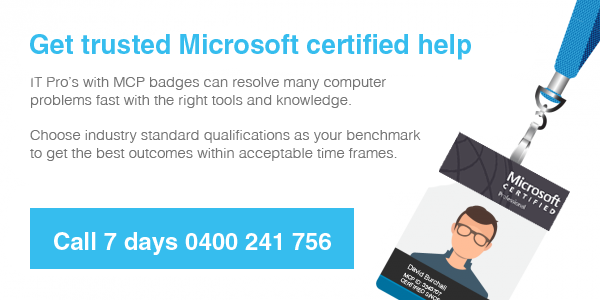 Wired Office (est.2005) provide Microsoft Certified computer support services for business and home or home office in Joondalup, and Perth’s northern suburbs. Are you looking for experienced and trusted computer repairs in or around Joondalup? Look no further! 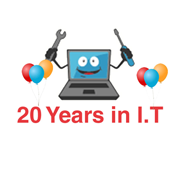 Given our many years of experience and up to the minute technical knowledge we usually resolve computer problems very quickly, not just the issue itself but we will identify the root cause of the problem to help ensure it doesn’t happen again. 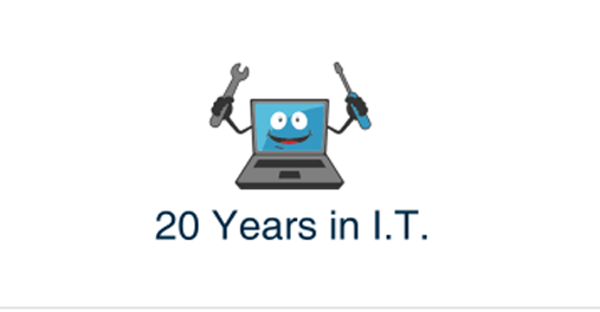 safe, trusted remote access support means we can log in to resolve your problem and get it resolved without the need for a technician onsite. It’s also much cheaper. We have a quick fix option of just $49 for 30mins. You can call us 7 days a week. 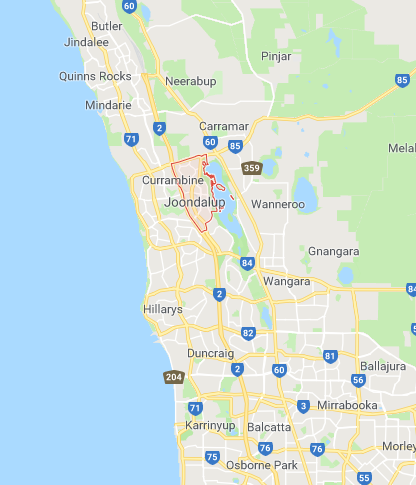 If you are located in Joondalup or any of the surrounding suburbs you can bring your PC into our workshop in Duncraig. This is a good option for bigger jobs, such as putting in a new drive, scanning for malware, and so on, because we will give you a capped flat price regardless of the time we spend. So for most jobs you can know in advance. You still get our famous same day service or pick up next day service. Like most other services we can attend onsite. This is usually same day turnaround. Standard onsite charges apply but no travel fees are applied. We are available 7 days a week, by appointment (text or call first). slow computer? This type of job is best brought into the workshop because you can save on extended tech onsite charges. 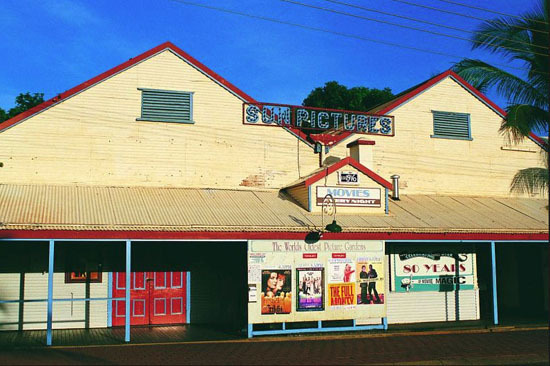 Duncraig is only a short drive from Joondalup and close by suburbs. We can also clear your PC or laptop of malware with a remote access connection. Please enquire. viruses, malware, other threats? In most cases these bugs can be removed quickly, even when your own antivirus does not detect them. we do not make a profit on any hardware you require! swap out your tied hard drive with a super fast SSD drive and dramatically improve performance! Computers attract dust because they often do not have proper filters. Computers are seldom opened for cleaning because of the out of sight out of mind issue and dust can build up until the PC shuts down due to ESD (electro static discharge). Dust is a big problem for computers in business, industry and home, and can significantly reduce the lifespan of the electronics. Using canned air is a risk to health according to this article at wikipedia, and when canned air is tilted it may release refrigerants. Aside from this canned air is generally not strong enough to effectively clean embedded dust in CPU sinks and the like. Air compressors are too powerful for the delicate electronics boards of computers. Many types of air tools such as compressors create static electricity which weakens computer main boards. 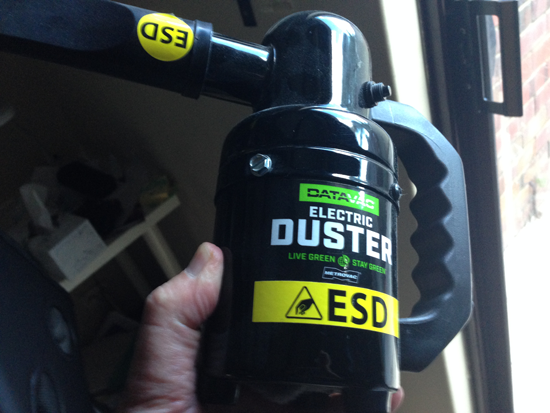 The safest option for forced air with enough velocity to power clean embedded dust needs to be an ESD safe device. 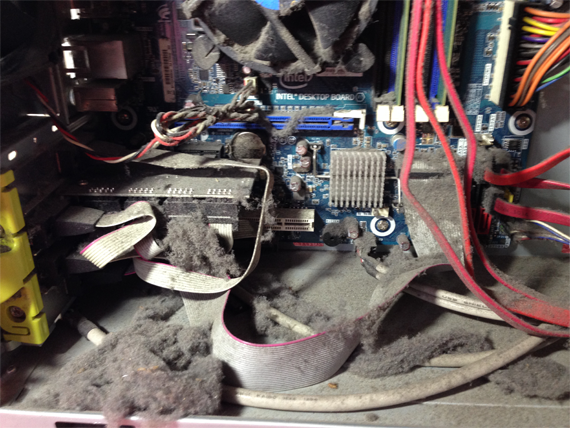 We can provide this type of de-dusting inside desktop computers whilst onsite for a general support service call – for home or business. If you can have the computers prepared for cleaning before a tech arrives it will cut down on time/cost. 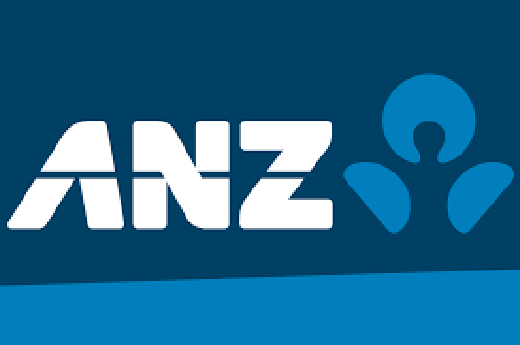 If you are in Perth’s northern suburbs call to book in a support call out. You can also bring your pc to us for a through clean out (Saturday mornngs best) while you wait – for $25. Remember to call or txt first. 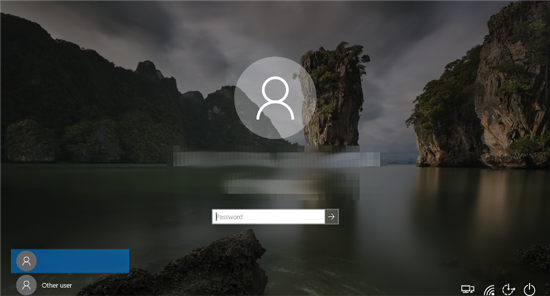 How to stop auto login to the last logged in user in windows 10. This question has been around since Windows 10 came out and there’s plenty of frustration showing up on the forums for windows 10. 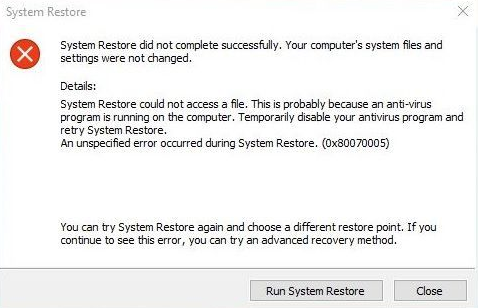 There is a general war cry going, fix this bug Microsoft or I’ll go back to windows 7, or worse, I’ll turn to Linux! There have been registry hacks on various forums to change the value of the last user account but this has been blocked by recent updates. Recent changes made the other users show up at the logon screen. Look for other accounts in the lower left of the login screen. The Say Yes Scam – is it really a scam? There are numerous websites of the so-called news variety who parrot the advice given by some police departments and the Better Business Bureau in America about popular scams, without giving this anymore thought or conducting any kind of analysis or research. In fact, the BBB warning against the current scam causing and delusional thinking into good folks around the world. The Say Yes Scam came out of a BBB satellite office in Florida and not the BBB as a national entity. We better say this is a scam just in case it is. 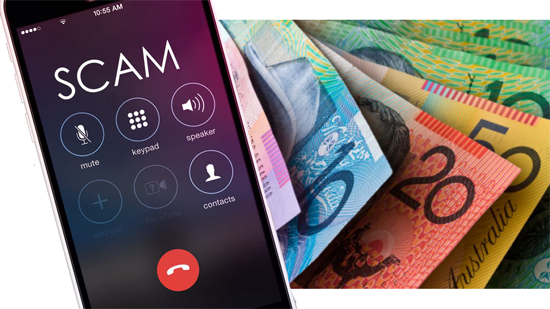 The idea is the scammer calls you on a fake number and asks a question designed to elicit a yes or no response, such as “am I speaking to joe smith”. If you are running a business where your name is well known in the area you might instinctively say yes. The BBB or others spreading warnings about this scam do not appear to have analysed the status of this scam alert. As Snopes.com reported recently there does not appear to be any evidence of victims. The fear mongers want you to blindly accept that the word YES can magically amount to stealing money from you. As snopes rightly pointed out, how can YES be used in any kind of context to buy something in your name. Anyone can say the word YES. I got one of these calls recently. The voiced asked if it was me they were speaking to. I said yes. The voice sounded artificial, digitized in some way, but why should that trouble me? I don’t care if it came from the moon. But I will keep you updated on this blog about any attempt to gouge money from my bank account. Stay in touch. The say yes scenario reminded me of a few movies following in the footsteps of The Ring. Watch this video and you will die with ten days, answer the phone and you die within 24 hours. So I am seriously wondering if the Say Yes Scam should be known as the Say Yes Prank. 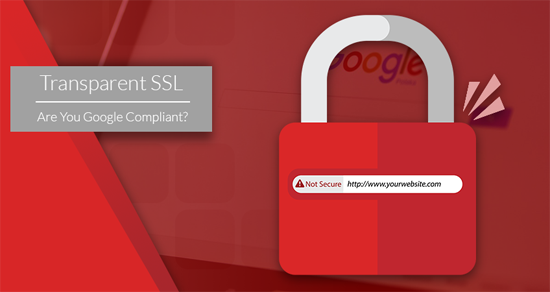 Make sure your website is HTTPS compliant or you will disappear. Google is punishing websites with the secure socket layer (SSL) by dropping them off the search radar and in some cases websites can basically disappear overnight. If your business relies on being searchable on google you need to act now. contact your website hosting provider and pay the fee to upgrade to HTTPS. In Australia the fee is usually $49 as of 2018.
if you get mixed media messages / ssl errors or this site is not fully secure after getting your HTTPS in place it is not the job of your host to fix this as it’s time consuming. We can usually help on a consulting basis for a small fee. I wrote the following post on the Microsoft support channel after seeing so many trying futile workarounds and fixes that are not addressing the real issue for the retired WMDC and connectivity issues in Windows 10. Re posted here. The problem is best addressed by understanding the general life cycle of devices and the retirement of WMDC many years ago. You will need windows 7 to run most of the legacy devices reliant on wmdc. Some of these devices *may* run on windows 7 on Hyper-V, but the gotcha here is that if the device is not recognized by wmdc to start with there can be no device pass-through. Resetting the device to open wmdc in compatibility mode, then resetting the wmdc service protocol to run on a local system account with desktop interaction may give temporary access but this by no means a workable solution. Only a device seen as a disk drive can be manipulated as a pass-through device for hyper-v. So for wmdc users with specification applications, such as data analysis software, install win7 on a standalone PC/laptop. This will be a workaround for some devices which rely on wmdc for the interim until the device vendors create a new model for windows 10 connectivity. 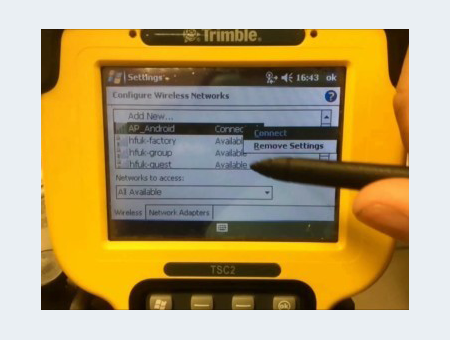 Some devices, such as Trimble data analysis devices, may have wifi connectivity. Have you tried this to bypass wmdc? Let us know how you got on.